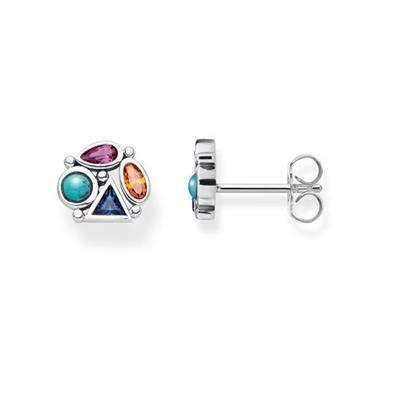 From Thomas Sabo's 'Paradise Colours' collection are these stunning Silver Multistone Stud Earrings. A perfect addition to any outfit in the Spring/Summer season, with its brightly coloured stones. The Thomas Sabo Silver Multistone Stud Earrings feature four small brightly coloured stones in a cluster. With a mix of colours and shapes, these earrings have a playful style and boho vibe. These stud earrings would be the perfect gift for her.